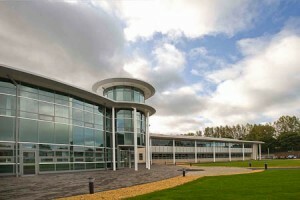 Shrewsbury’s Monkmoor Education Campus is the first of its kind in the UK. The development incorporates Severndale Specialist School and the Wilfred Owen primary school, as well as offices and facilities for a number of the county’s education, social care and health services. The project was carried out on behalf of Shropshire County Council and involved the installation of AMP NETCONNECT category 6 structured cabling, five Prism 800×1000 PI server racks, and several 800×800 F1 data racks. A thousand category 6 UTP ports, eight core 0M3 fibre optic and 100 pairs of voice multi-core cables link each remote floor distributor back to the main server room, bringing together the separate LAN, WAN, wifi and voice networks for the schools and the offices of the Shropshire County Council and Shropshire County Primary Care Trust teams. The project was completed in December 2008 and the network is covered by the AMP NETCONNECT 25-year system warranty covering components and labour.